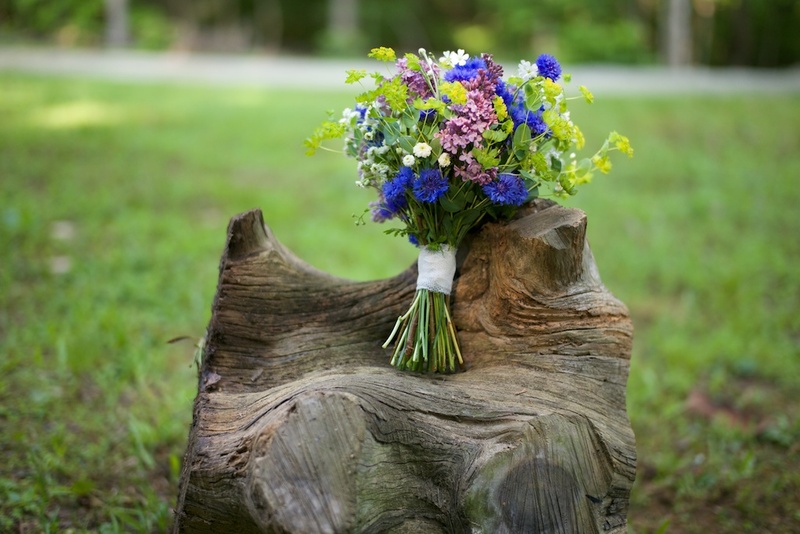 May was a busy wedding month at Spring Forth Farm. Clients are taking advantage of our DIY bucket of flowers we offer as well as the “a la carte” option for a mixture of DIY buckets with Spring Forth Farm making the bouquets and boutonnieres. 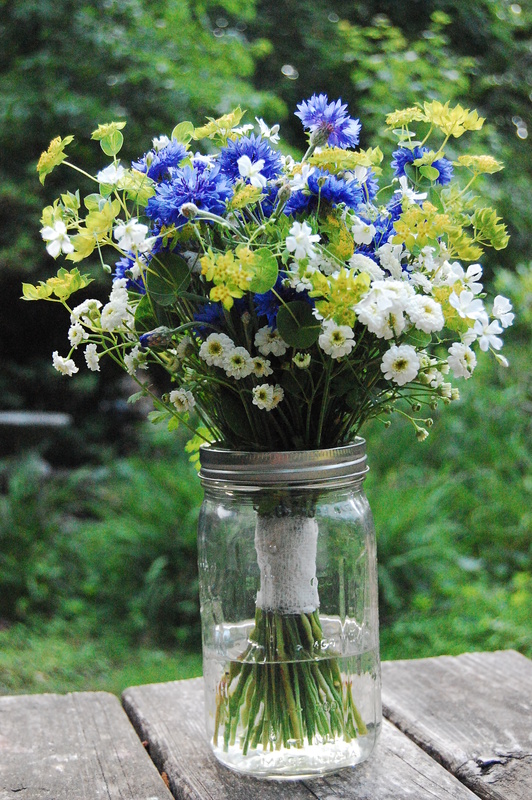 Jonathan and I put together a wedding with a “wildflower theme” for Saturday May 31, 2014. Here are some photos of that process. 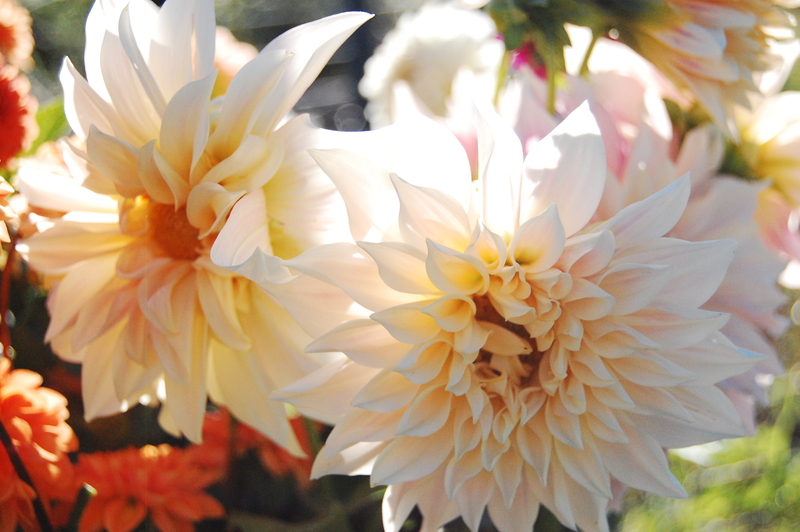 Enjoy the beauty of the flowers. Bridal Bouquet. Photo by Thomas Fisher. 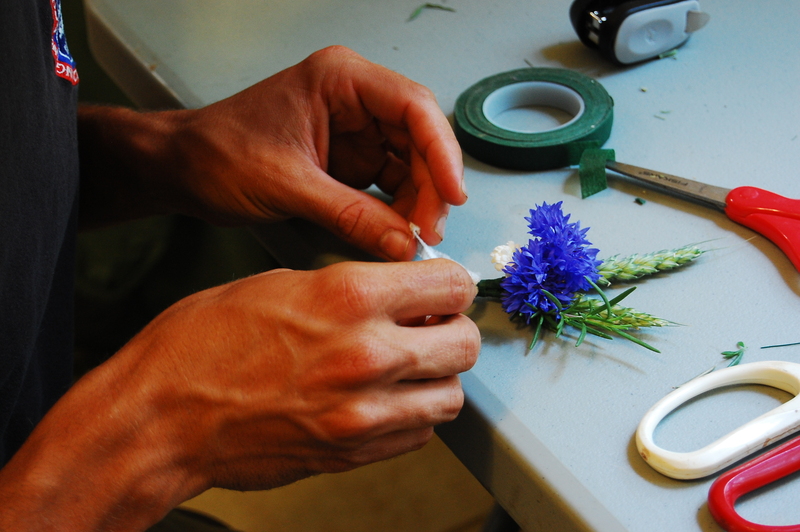 The handiwork for making boutonnieres and bouquets takes a lot of focus and organization. 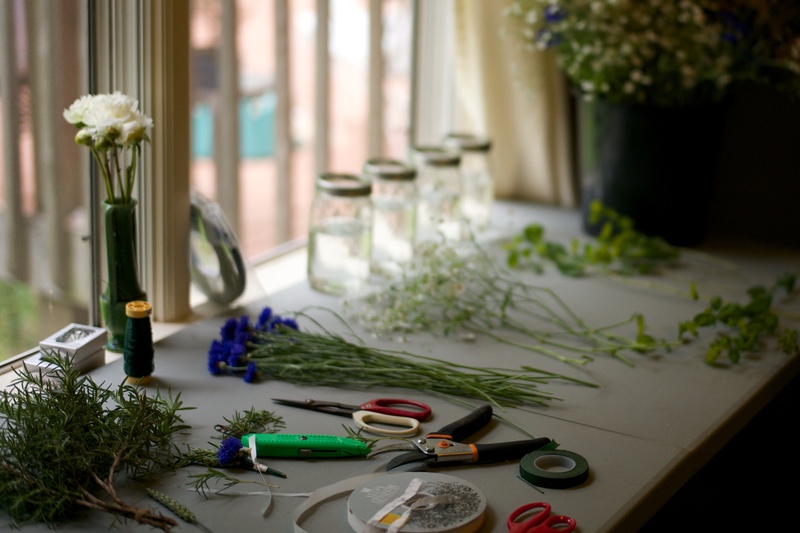 We like to lay out the flowers as we work so that we aren’t scrambling to find what we need and to strip leaves off of the stems. 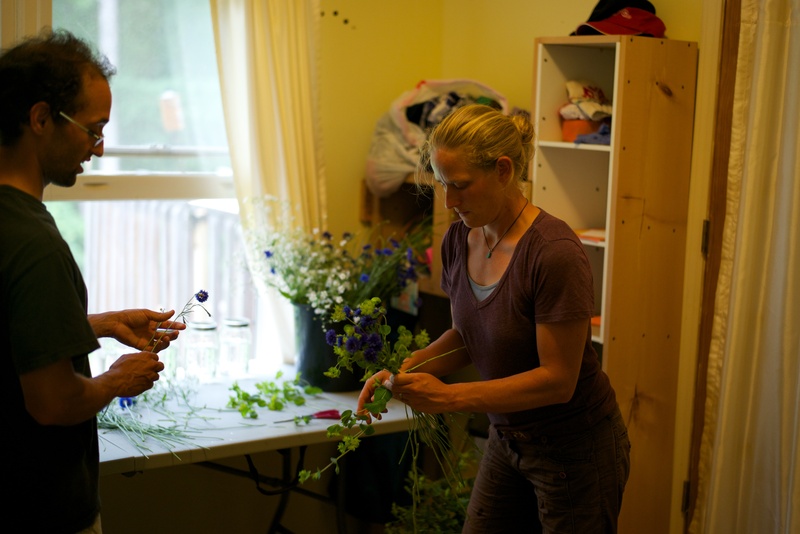 A year ago I spent a month at Harvest Moon Flower Farm where I first learned to build bouquets from experienced flower farmer, Linda Chapman. 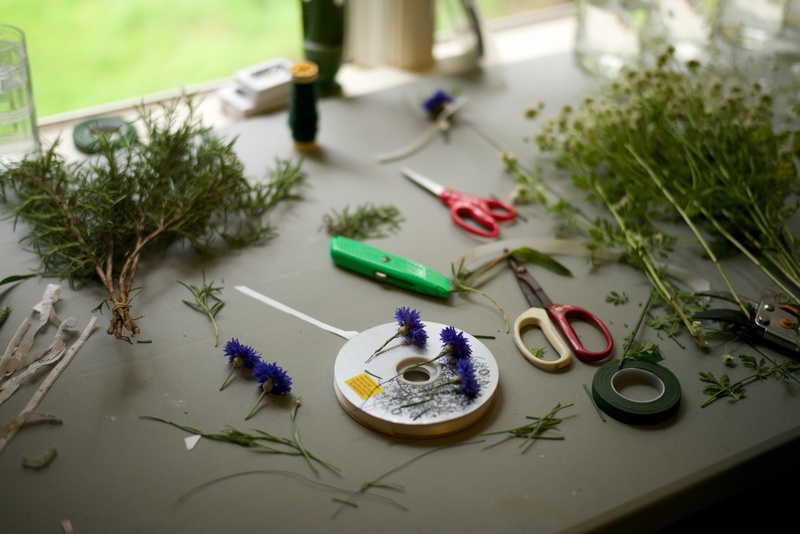 We also used Fresh From the Field Wedding Flowers by Erin Benzakein and Lynn Byczynski, a wonderful book to help us continue to learn how to build bouquets and wire flowers for boutonnieres. Spring Forth Farm wouldn’t be where we are now without these resources. Building a bridesmaid bouquet. Photo by Thomas Fisher. 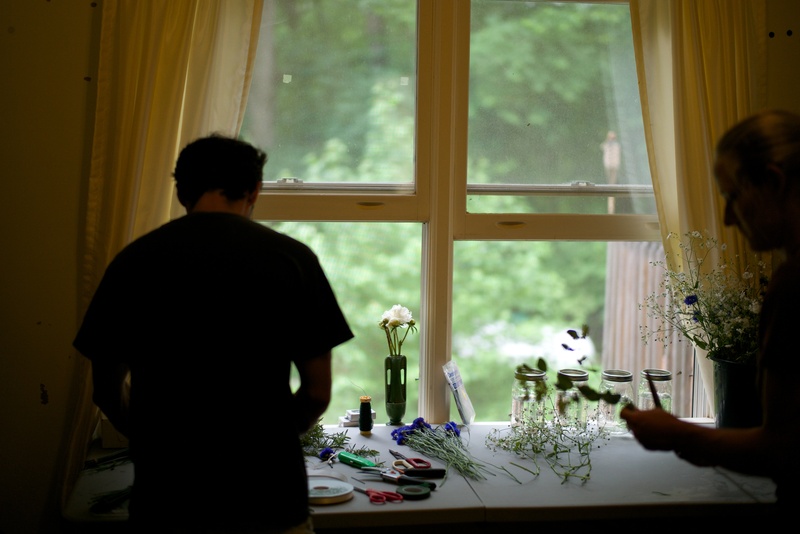 We cut the final few bunches of flowers for the DIY section of the order Saturday morning of the wedding before the flowers were picked up. 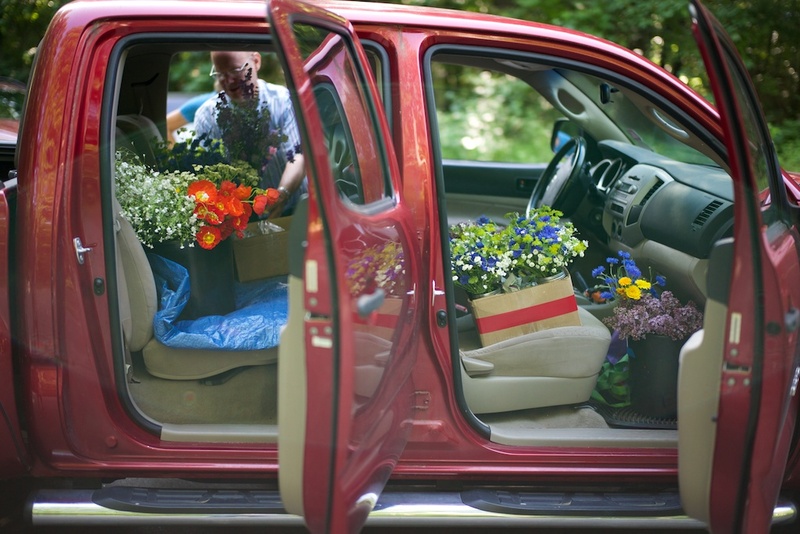 We love providing the freshest possible flowers to our customers. 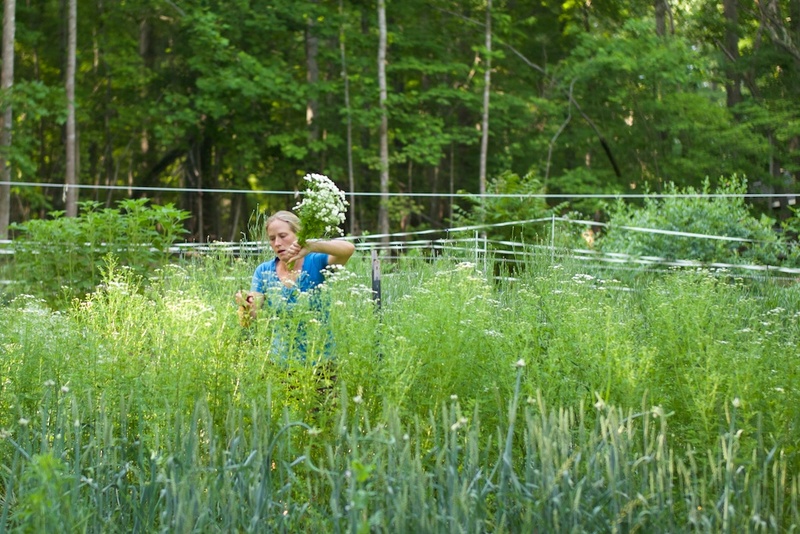 Cutting matricaria. Photo by Thomas Fisher. The wedding florals ready for pick up! Photo by Thomas Fisher. 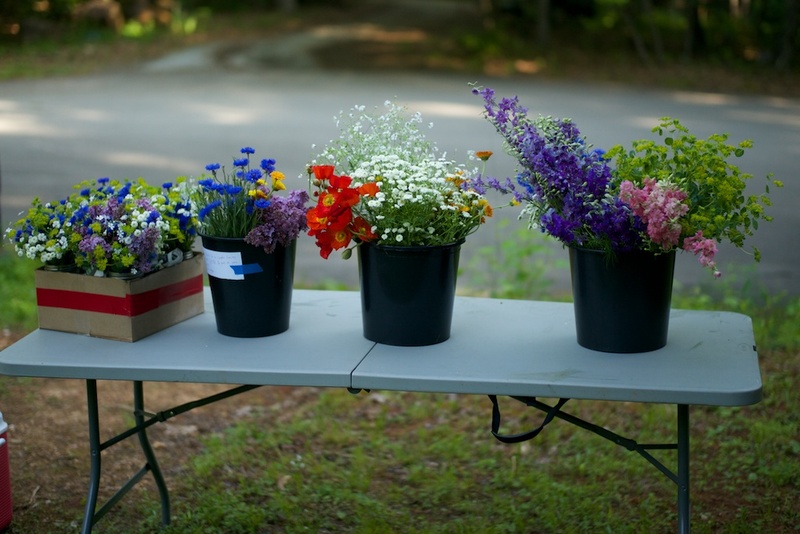 The wedding flower pickup by the groom’s step-father on the morning of May 31, 2014. Congratulations to the happy couple! We loved doing this wedding and love the opportunity to continue to improve our arranging skills. We look forward to our next couple of weddings in June 2014. What lovely, original arrangements you all! Love the bride’s bouquet (it’s easy to imagine her running around in a field bouquet in one hand and bonnet in the other! 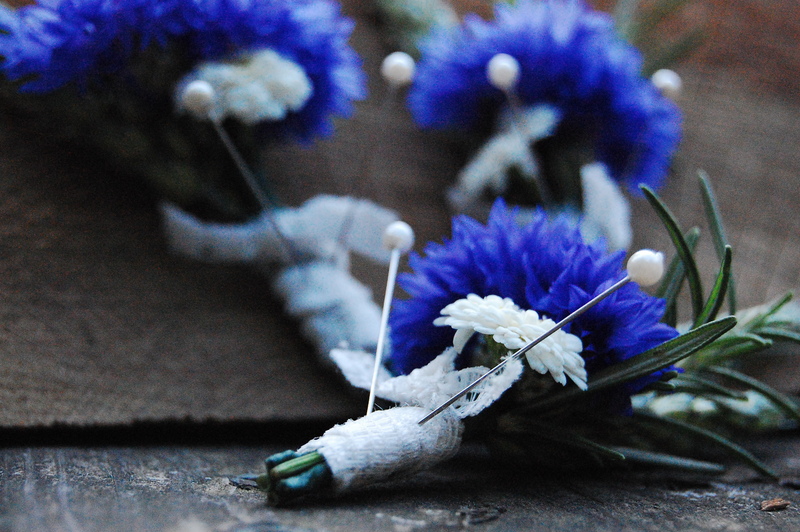 The boutonnieres are also so striking. I have so enjoyed watching this endeavor unfold. 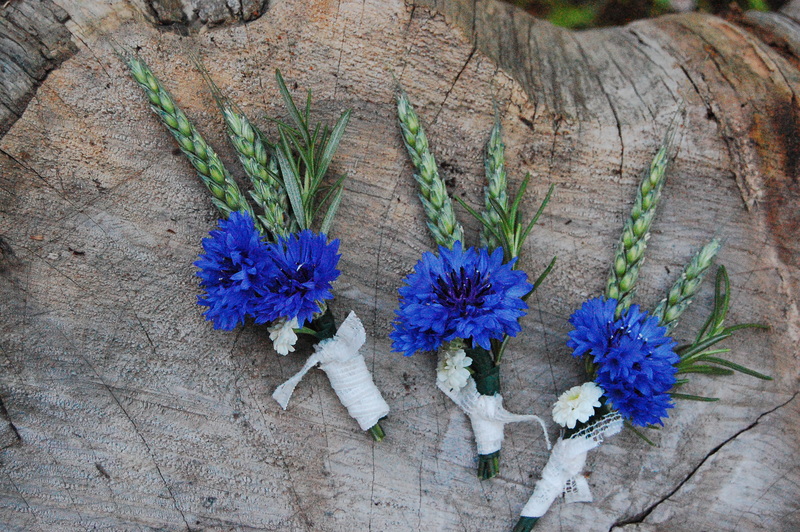 Lucky bride and groom to have such gorgeous natural flowers in their festivities. Love the photo essay and Tom’s detailed photos as well. Just lovely. I am so proud of you two! You’ve really just taken this and dug in! The bouquet is stunning and love those boutonnieres. Thank you for the kind comments. We were really pleased by how these turned out, and we feel blessed to have Thomas Fisher’s skillful photography of our work.